Don’t let the fact that I spent over 5 years to complete all four seasons of Natsume Yujinchou discourage you from this series. It was quite brilliant, actually. 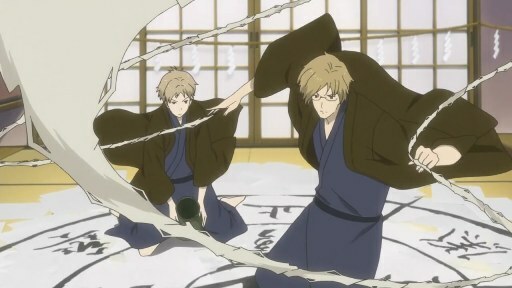 Natsume Takashi was born with an ability to communicate with spirits. Natsume inherited the ‘Book of Friends’ from his grandmother Reiko. In the book were names of spirits whom Reiko had defeated and bound them to her service. The book made him a target of many spirits who either wanted their names back or wanted the book for themselves. Naturally, he was labeled as a freak since he was very young because he often acted weird, spoke to things that were not there and strange events usually happened around him. He spent most of his childhood alone and frightened. After his father’s death, he had been moving from one relative to another. The anime began when he moved into the Fujiwara’s family. Natsume later befriended Madara (aka Nyanko-sensei) and resolved to return the names in the Book of Friends to their owner, thus releasing them from servitude. Natsume Yujinchou told the stories almost exclusively in episodic manner. More precisely, the series employed ‘monster of the week’ pattern in all of its seasons, with few episodes directly connected with each other. The anime contained little action, but lots of dramatic moments. It was certainly not made for kids since the anime’s greatest strength was in the details of the characters and their interactions with each other. This might sound too good to be true but I believed Natsume Yujinchou series had no bad episodes. In fact, most of them were great on its own and as part of the big picture. The most prominent themes in this series were family, friendship, and the complex, non black-and-white world view. These topics had been extensively discussed in my previous posts published throughout the years. I urged you to read them because those discussions were the testaments on why Natsume Yujinchou was one of the most important anime I have seen. It gave me lots of new perspectives and insights. Natsume Yujinchou boasted beautiful artworks and good animation both for the characters and the background. The original score was soothing but not particularly remarkable. Special mention should be made on the opening and ending songs since all of them were catchy and easy to listen to. The productions, in combination with the story and characters, made Natsume Yujinchou a very poignant and emotionally resonant show for me. 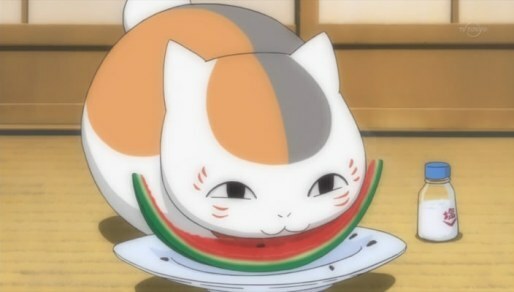 The presence of Nyanko-sensei, my favorite character, also added plenty of humor to the show. As you might have noticed, I hardly had anything bad to say about this anime. It hit all the right notes for me. But with that said, the anime might not be as appealing to every group of anime fans. Its slow pace and repetitive pattern of storytelling might be boring to some. And its relatively open-ended conclusion might leave you feeling incomplete. 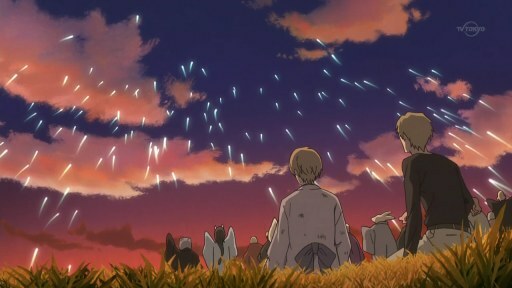 I thought the ending provide enough closure to Natsume’s character, as we finally saw him dealt with the memories of his late father, and find his place with the Fujiwaras. But the audience was not told how many names were still left in the Book of Friends. For me, the Book of Friends was not that important. 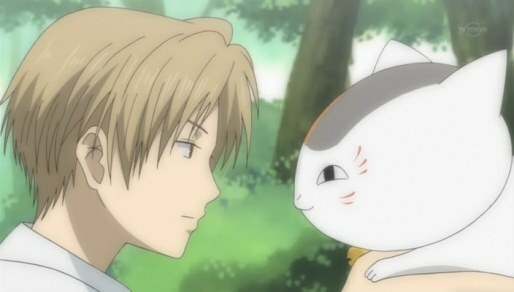 It was the object that put Natsume on his journey and brought the characters together but it was not the story itself. In conclusion, I have apparently spent too many posts over the years elaborating on how good and inspiring Natsume Yujinchou was. It was no longer a new show. So if you haven’t watched it. Well, you should. This entry was posted in Series and tagged Natsume Yujinchou San, Natsume Yujinchou Shi, Natsume Yuujinchou, Natsume's Book of Friends, Zoku Natsume Yujinchou. Bookmark the permalink. I’m such a huge fan of this show. I can’t even say which season is better, because they were all so great in their own way – it’s the kind of series I watch when I want something relaxing and feel-good without also getting bored. In retrospect, I feel like it was one long series. I find it hard to distinguish each season from another, which was very telling about the anime’s quality. Yeah, that’s a pretty good point actually. 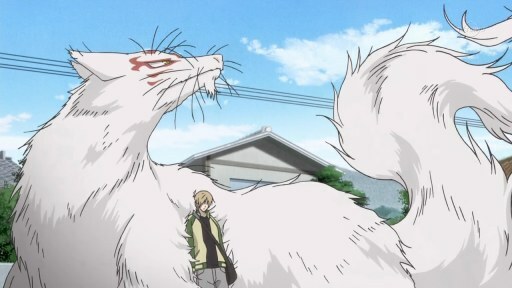 With longer anime I can almost always say season X was better than season Y because [reasons], but I don’t think I could do that with Natsume Yuujinchou. It’s just a solid title period, with standout episodes in each individual season and a beautiful atmosphere and consistent character growth throughout the entire thing. This is a lovely show. I watched it all back when I had a Crunchyroll membership, and I enjoyed it so much that I paid a hefty amount for NIS America’s release. It was worth it – the anime equivalent of a warm, snuggly blanket. I’m happy with four seasons, but I still wish it had been longer, if only because I liked watching the characters so much. We are in agreement here. There are plenty of rooms to expand on both story and characters. This is definite one of the best Animes I’ve watched. However, I’d still prefer Animes like Naruto, Attach on Title, Steins Gate etc. This was by far one of my favorite slow paced anime I’ve ever watched. Natsume was a lovable character and easy to relate to as he had no exaggerated powers other than seeing spirits he was pretty ordinary. I don’t know what rock I’ve been living under as I just recently watched NY for the first time. As I watched it I saw many comments saying that it would be better if Natsume had special physical fighting power like let’s say one punch man or Luffy I think the way he was suited the whole story better as it focused on his slow growth, acceptance and friendships that he eventually formed. It was a relaxing and slow paced anime that was easy to watch. And completely different in a sense to a lot of Shonen stuff out there.